Blue Diamond Almonds, Raw Whole Natural, 40 Ounce Only $11.98! #1 Best Seller! Looking for a healthy snack? These are perfect. 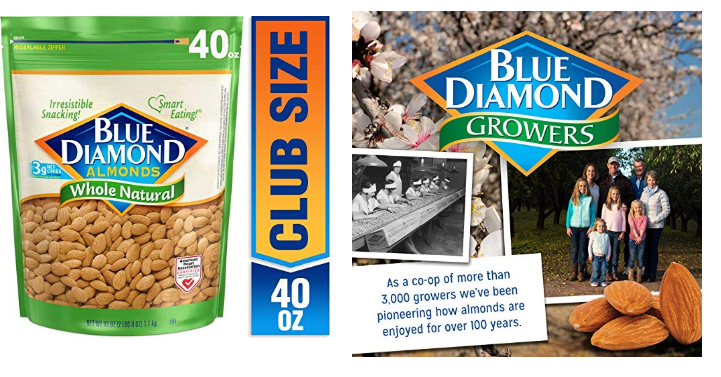 Amazon has the Blue Diamond Almonds, Raw Whole Natural, 40 Ounce for only $11.98 when you clip the $1.00 off coupon! This is a #1 Best Seller. I love having these on hand for a quick snack and to take in the car. Keep in mind, Amazon pricing can change at any time! Don’t wait to purchase this deal or it might be gone when you come back!